The plain high sides are raised on a short circular foot. The wood domed cover is pierced with scrolls. 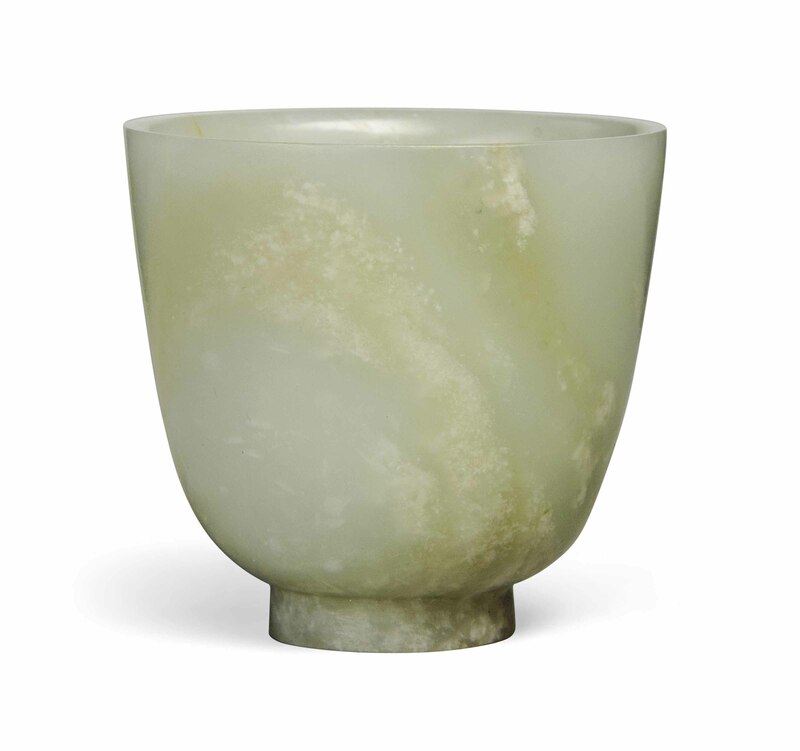 The stone is of a pale celadon tone with pale veins and inclusions.